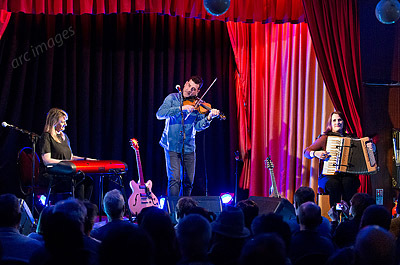 Vishtèn are a trio from Eastern Canada whose répertoire is focussed around French-Canadian traditional music, with many songs derived from archive sources. They tell us that they look for joyous folk songs, but invariably they end up with songs about heartbreak. Vishtèn particularly celebrate Acadian music culture, which derives from the French settlers who made their home in North America in the 17th century, including America’s southern states, where it morphed into Cajun.